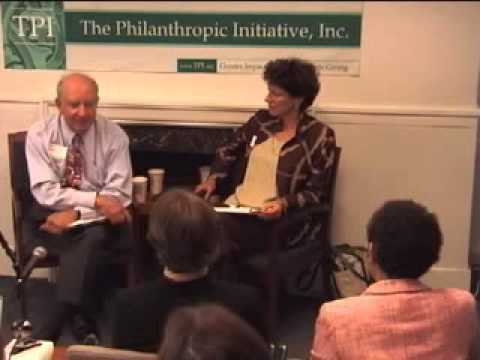 The Philanthropic Initiative and Cambridge College present a conversation on the state of education with Peter Karoff moderated by President Mahesh Sharma and Chancellor Eileen Moran Brown. Special thanks to Wendell Seale and Cambridge College. Mahesh Sharma is the director of The Center for Teaching/Learning Mathematics of Framingham and Wellesley, MA, which is affiliated with Berkshire Mathematics in the UK. Professor Sharma is known nationally and internationally for his groundbreaking work in mathematics education. He is an author and editor of an international mathematics journal, Focus on Learning Problems in Mathematics, a consultant to public and private schools, a public lecturer, and a teacher-trainer. He also writes Math Notebook, a practical source of information for parents and teachers. His special field of interest is mathematics learning problems. He evaluates children and adults for their learning disabilities and also finds time to tutor students. This one-to-one work with students provides him with insight into their learning problems and he has developed a unique way of helping students to learn. This is called Vertical Acceleration. Through Vertical Acceleration one is able to help students make up the gaps in their learning in a very short period of time. Eliminating Poverty: Attainable Goal or Unrealizable Dream?